The growing use of composites over metals for structural applications has made a thorough understanding of the behaviour of composite joints in various applications essential for engineers, but has also presented them with a new set of problems. 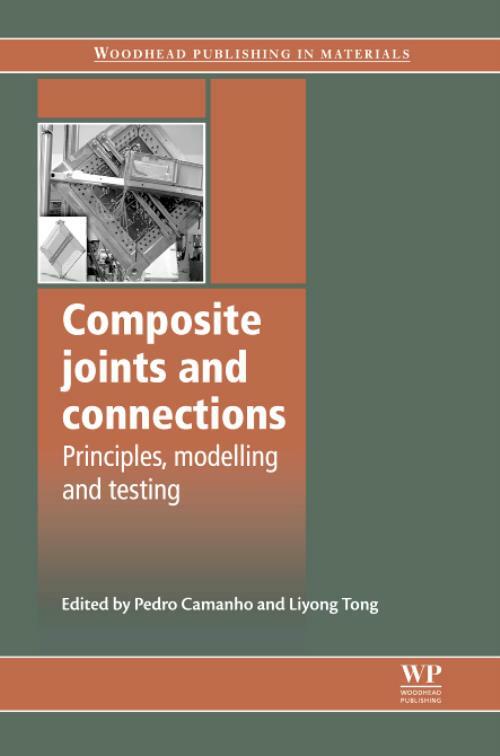 Composite joints and connections addresses these differences and explores the design, modelling and testing of bonded and bolted joints and connections. Part one discusses bolted joints whilst part two examines bonded joints. Chapters review reinforcement techniques and applications for composite bolted and bonded joints and investigate the causes and effects of fatigue and stress on both types of joint in various applications and environments. Topics in part one include metal hybridization, glass-reinforced aluminium (GLARE), hybrid fibre metal laminates (FML), glass fibre reinforced polymer (GFRP) and carbon fibre reinforced polymer (CFRP) composites. Topics in part two include calculation of strain energy release rates, simulating fracture and fatigue failure using cohesive zone models, marine and aerospace applications, advanced modelling, stress analysis of bonded patches and scarf repairs. Composite joints and connections is a valuable reference for composite manufacturers and composite component fabricators, the aerospace, automotive, shipbuilding and civil engineering industries and for anyone involved in the joining and repair of composite structures. Camanho, PPedro P. Camanho is a Professor in the Department of Mechanical Engineering at The University of Porto, Portugal. Pedro P. Camanho is widely regarded for his research into composite joints and connections including modelling behaviour, failure analysis and smart structures. Stephen R. Hallett is Professor in Composite Structures in the Advanced Composites Centre for Innovation and Science at the University of Bristol, UK. One of his main research interests is the development of physically based damage models for composite materials and their deployment for new and challenging applications. He has worked with on research projects for many of the major aerospace companies and is Technical Director for the Rolls-Royce Composites University Technology Centre at the University of Bristol. He has published over 70 scientific papers in international peer reviewed journals.